Although technically, fall doesn’t officially begin until this weekend, I’m definitely in a fall state of mind. Badger football, pumpkin ice cream, cool weather, hot apple cider, need I go on? I’m a particularly big fan of the fact that cooking things in the oven no longer heats up the house to ungodly hot temperatures. Which is why I decided some more cookie baking was in order. Considering that it’s still National Honey Month (and the fact that I’ve just replenished my honey supply), a honey cookie was the obvious choice. But, of course, I couldn’t stop there. Balancing the honey’s sweetness with spicy notes of cardamom and ginger, the result is a delicious dessert that would be an amazing accompaniment to a steaming mug of chai tea. My mouth is watering just thinking about it. While any sort of ground cardamom will work wonderfully in this recipe, if you have whole cardamom pods and the ability to grind them yourself (either with a spice grinder or a mortar and pestle), most definitely do it! The freshly ground stuff will add an extra spicy kick that is particularly fantastic! 2. 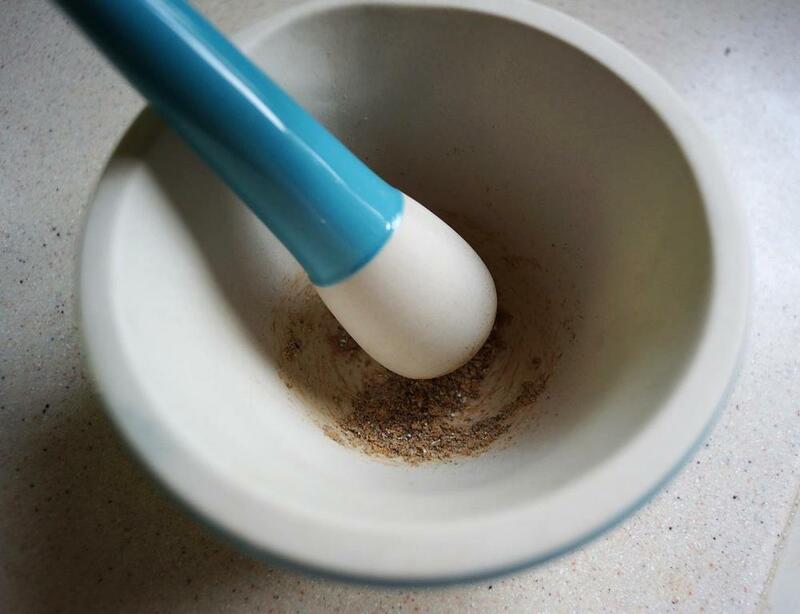 Combine the flour, baking soda, salt, cardamom, and ginger in a medium bowl. 3. In a separate, larger bowl, mix the sugar, honey, and butter together until light and fluffy. Mix in the egg and vanilla, followed by the flour mixture. 4. Spoon dough into about 1 inch balls and space evenly on a greased cookie sheet (you should have 12 cookies per sheet, 2 sheets total). 5. Bake cookies at 375 for about 9-10 minutes, or until golden brown.